A wise runner once said "The best runs are the ones you stumble upon." I tend to agree with this wise sage. My favorite runs are the unexpected ones. The ones where you enter the trail not knowing where it goes or the terrain it will take you through. Every step is a fresh experience, every turn provides a new vista. The body and mind are engaged and excited at the beauty of the unknown that lies ahead. The sense of adventure and exploration is strong. 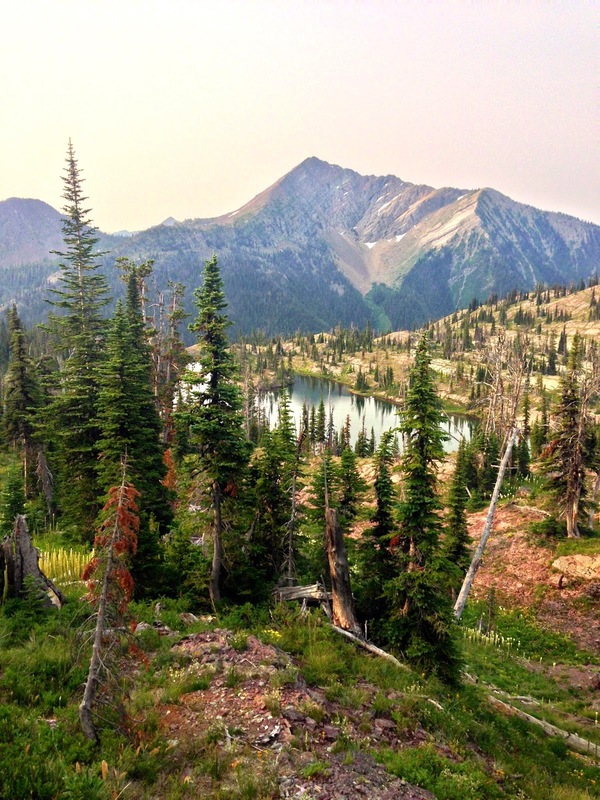 I was lucky enough to "stumble upon" an amazing trail last weekend while camping with my family at Holland Lake, about an hour and a half drive from Missoula. The lake itself has a spectacular setting being wedged against the base of the mighty Swam range to the east, with views of the Missions across the valley to the west. At 6:30am, as I ran through a sleepy campground I headed toward the trail head at the end of the dirt road along the north side of the lake. I had no expectations for this run; no agenda for miles, elevation gain, or time, just exploration. At the trail head a map was posted showing a network of trails heading up to Holland Lookout and Upper Holland Lake. There was even a possibility of doing a big loop run. I was instantly excited and a bit overwhelmed by the possibilities and decisions that my awaking mind would have to make. I took a picture of the trail map for reference and figured I'd head up to the lookout since I was overdue for a run with some elevation gain. As I made my way up a series of switch backs and started leaving the dense forest below, I was noticing thousands of stocks of expired bear grass all around. I was in awe of how dense the bear grass was, and bummed that I had missed them in their full bloom. As I climbed higher and neared the pass, that all started to change. Hill sides started to appear covered in solid white bear grass blooms. 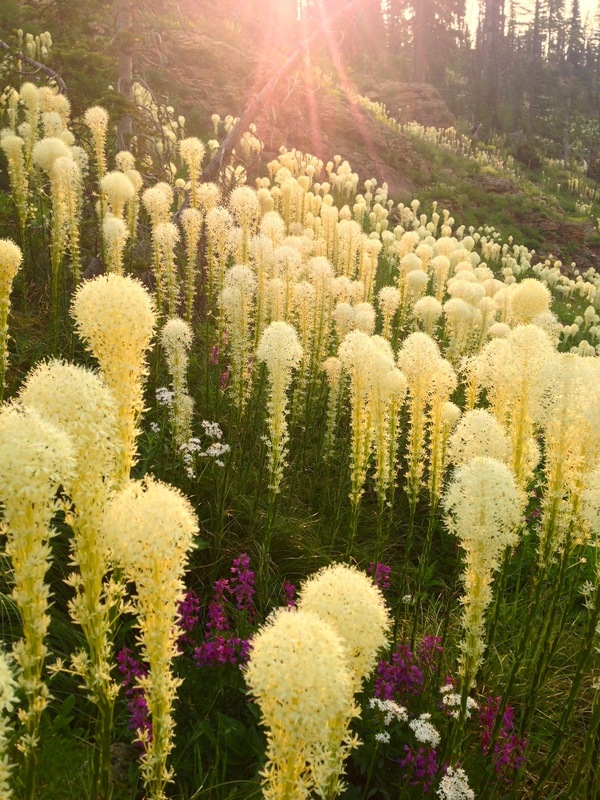 Cresting the pass, bear grass was perched at the top, glowing radiantly in the bright morning sun. 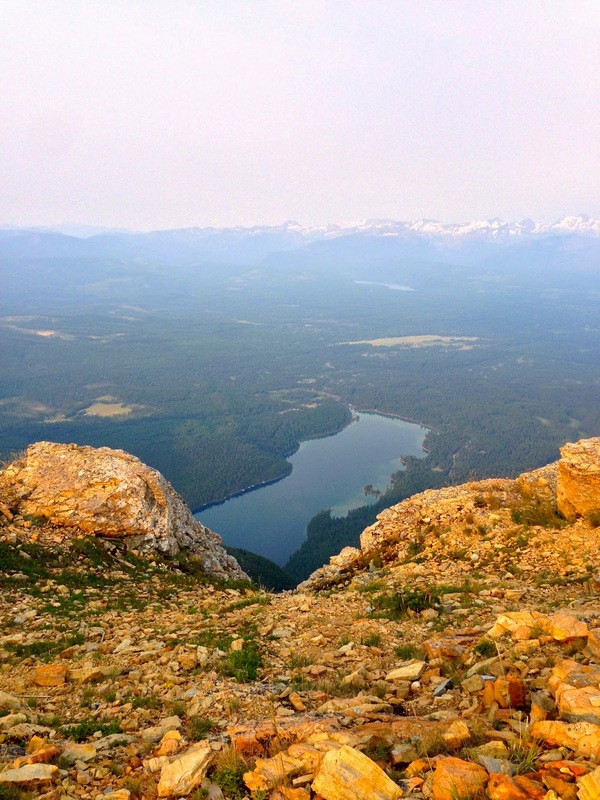 To top this off, was an expansive view of lakes and mountains heading deep into the Bob Marshall Wilderness to the East. Bear Grass perched on top of Holland Pass. Decision time, with no gels or water I could turn around and head back the way I came which would be the shorter option, or I could continue along the loop route past Sapphire Lake and Upper Holland Lake. Looking down towards the alpine lakes and fields of blooming bear grass to the east, my decision was easy, I was going to complete the loop. I couldn't resist the beauty of the landscape that lied ahead. As I headed down from the pass, I ran through the densest fields of bear grass I have ever seen. It gave me the sensation of floating through waist deep white fluffy powder. 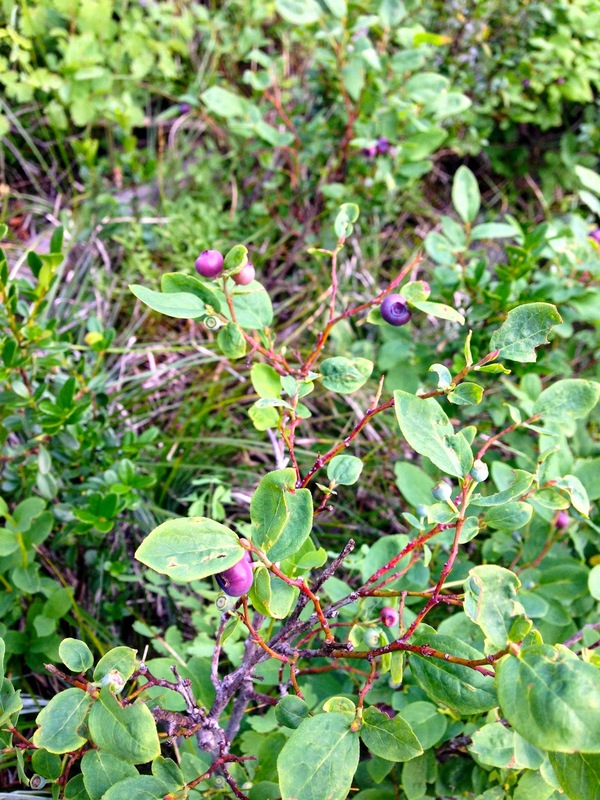 To avoid bonking I kept a lookout for huckleberry bushes and alpine streams for my source of energy and hydration on the way down. The real Montana Trail Crew. Ladies with jack hammers, nice work! I made my way to Upper Holland Lake and then the trail headed west along Holland Creek taking me back to Holland Lake. 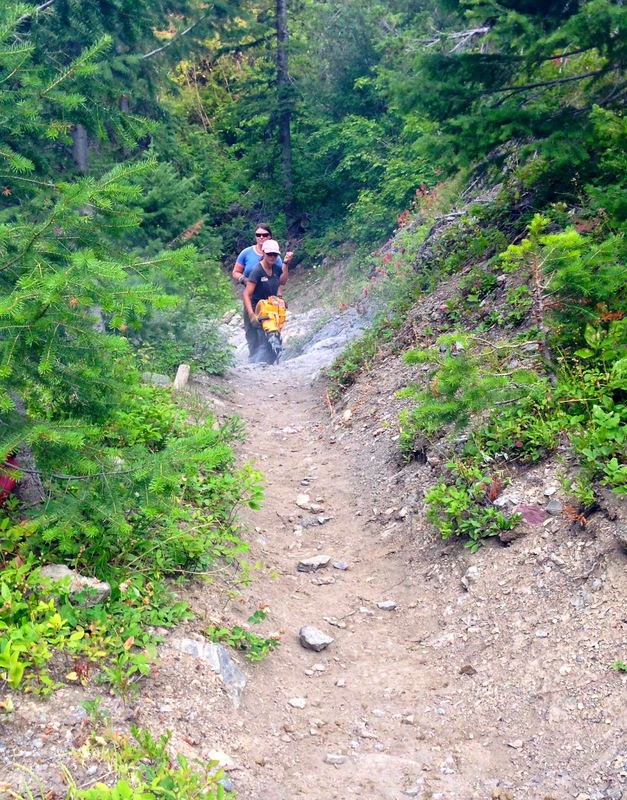 The single track trail follows the cascading creek through lush vegetation all the way down. I smiled all the way into the campground where I'd started 3.5 hours earlier. In these times of over abundant stats and data collection, I have none of it from this trip, and that's how I prefer it. 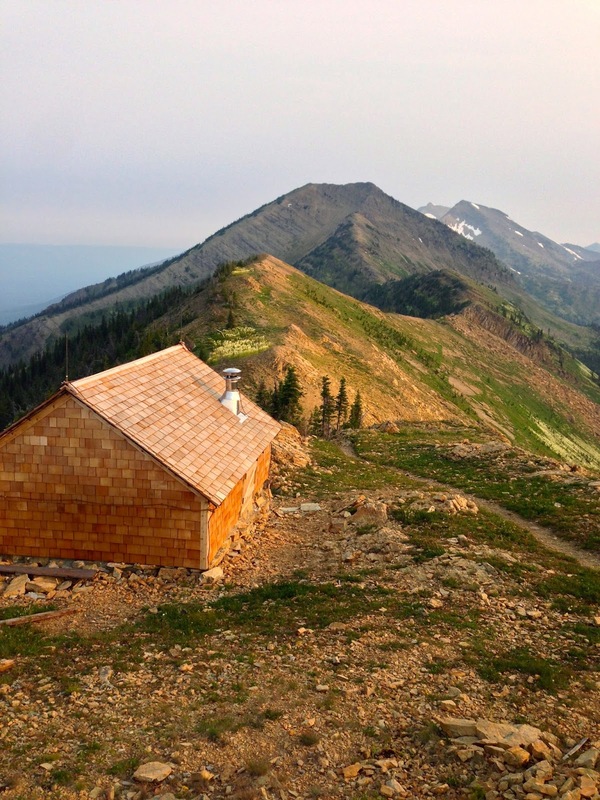 No mileage, no elevation gain, just pictures and memories from my favorite run of year. I encourage you to get out there, find a new trail, and "stumble upon" what could be your best run of the year.